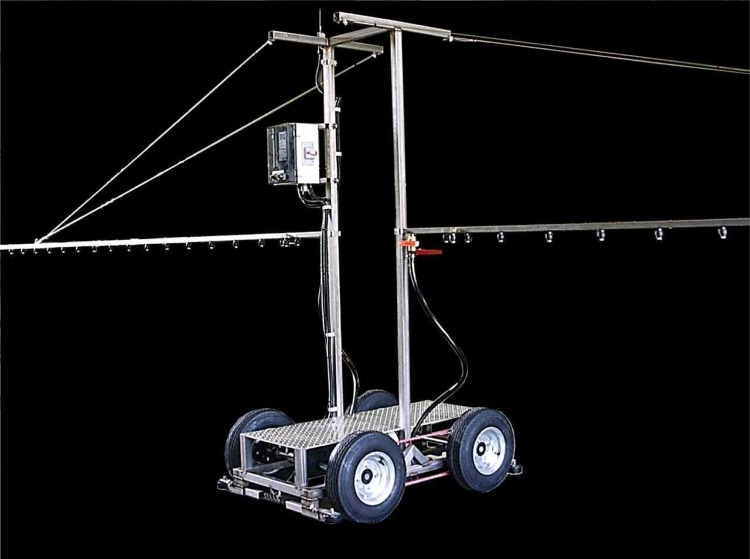 Our greenhouse watering equipment is all custom built to the customer's needs with all stainless steel construction, urethane wheels for maximum wear life, quick release nozzles with the latest polymer tips to eliminate corrosion wear, programmable selectable speeds with powerful and reliable three phase motors even with single phase greenhouse power and optional pesticide booms. The booms are made of square stainless steel tubing, drilled and tapped for the sprayer bodies. They do not droop in the heat like pvc or corrode internally like aluminum to create oxides which plug tips or leak. The track system for the overhead machines allows workers to walk under the track and machine without ducking. 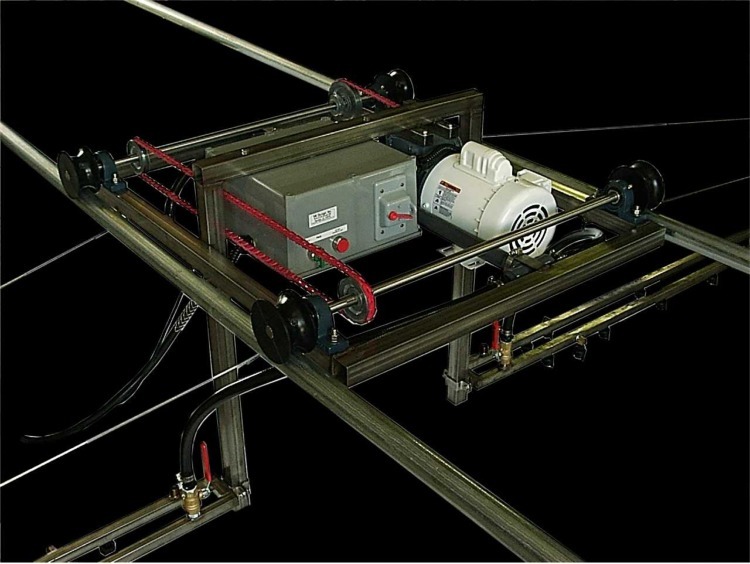 The ground drive machines use large tires on galvanized wheels and are a walk-through design and otherwise have the same features as the aerial machines. © 2006 SK Design, Inc. All rights reserved, all content property of SK Design, Inc.